On behalf of the client Campbell Soup Asia, Y&R Hong Kong launched Pepperidge Farm Goldfish crackers with a whimsical TV commercial starring animated fish and a jingle tailor-made for local audiences. A brand with 53 years of heritage and the number one kids’ cracker in the United States, Goldfish is entering the Hong Kong market for the first time. Print, outdoor and promotional event activations are set to follow. Y&R Hong Kong has positioned Goldfish as a loveable buddy for kids and a trusted snack for parents to give their children. 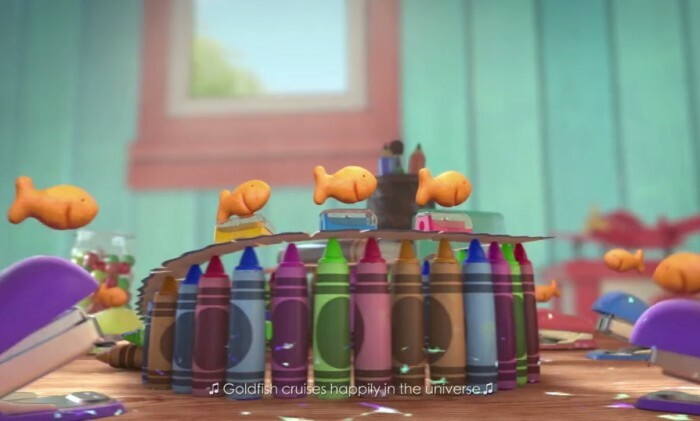 The TVC shows the smiling fish-shaped crackers having a whale of a time playing on a child’s desk, while also reminding parents or caregivers the snack is “baked, not fried” and “made with real cheese” – its unique selling point over competitors. After the TVC was uploaded to YouTube, it obtained more than 200,000 views in just two weeks. “Because Goldfish is a brand that inspires fun, we wrote a catchy jingle to accompany the ad. This helped aid recall, and was also an entertaining song for kids to enjoy,” said Arthur Chan, account director for Y&R Hong Kong. “Usually, with big well-known clients such as Goldfish, local agencies simply adapt assets from global. Added Patrick Wong, creative director of Y&R Hong Kong: “Nowadays both children and parents in Hong Kong are under great pressure with busy school schedules or extra-curricular activities. In his new role, Pereda reports to Patrick Dodd, president of Nielsen Growth Markets Group. ..
VANS' Living Off The Wall campaign use locally produced documentary films to build a sassy brand image and appeal to hip young peo.. Lemon Square decided to maximize the digital space to launch its first cookie brand, Cookie Says, to reach its target market of te.. Outfits for the Singapore market will not be impacted. Meanwhile, the brand is also eyeing the Malaysian market as part of its exp..